And we're back to Monday. We all knew it was going to happen. We didn't have to be thrilled about it. But it was nice and cool out this morning, so we've got that going for us. But even as much as the weekend seems an eternity away, there's still plenty to get excited about, like making your game tables look good. 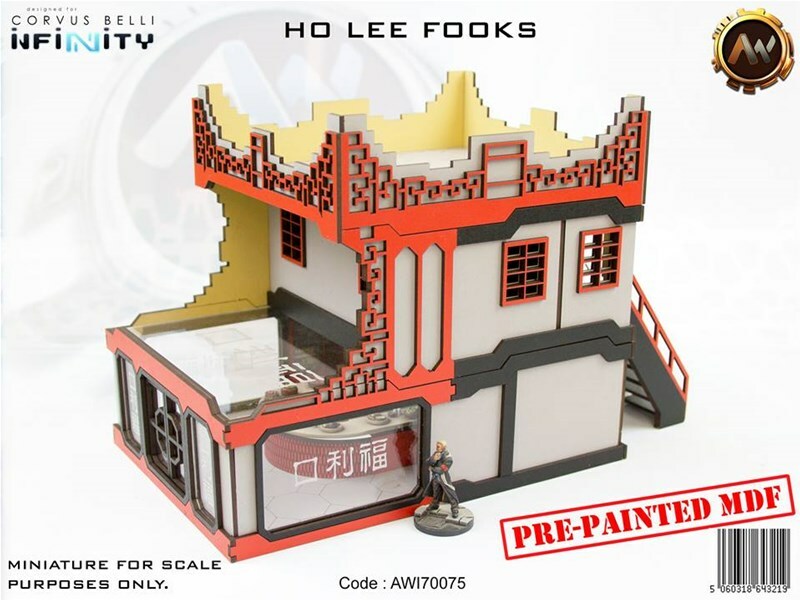 Today in the Terrain Corner we have: Terror at the Belmont Hills Mall Kickstarter Running Now, and Ho Lee Fooks Restuarant Available From Antenociti's Workshop. It's odd. Each day this week I've found myself, at some point, looking at the clock and going, "How is it only (time)?! Geeze! Today is taking forever!" And yet, in contradiction of that, I've also found myself going, "Whoah! It's already (day)!? This week is flying by!" So while each day is taking forever, the week is just speeding past. I don't really get it, but it does mean we're already most of the way to the weekend. I'm in my Thursday shirt, and that means it's time to make your gaming tables look as good as possible. 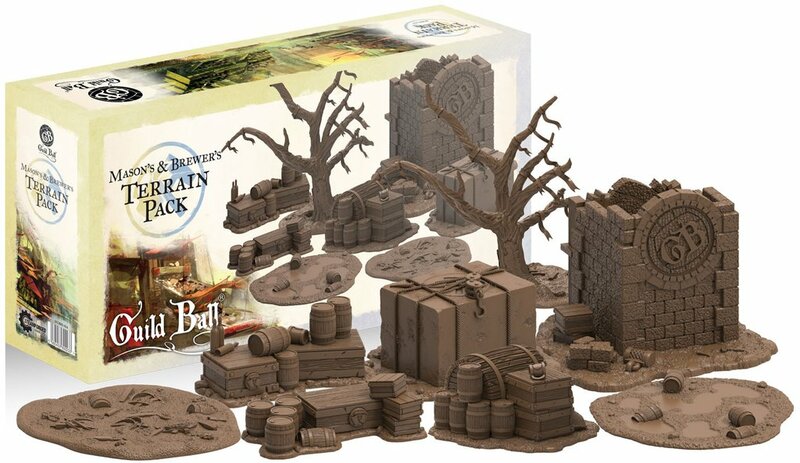 Today in the Terrain Corner we have: New Steampunk Ironclads From Burn In Designs, Tabletop Scenics Giving Away An Orc Quarters, Skull Forge Scenics Halloween Sale Happening Now, Acheson Creations at Fall In! and Millennium Con, New Modern Civilian 28mm – 32mm Vehicles From Antenociti's Workshop, and New Masons and Brewers Terrain For Guild Ball. It's back into the office for most of us. Hopefully your weekend went well. I didn't get any tabletop gaming in, but I did have a great time with a friend I'd not seen in a bit. So I can't really complain. Also got a ton done around the apartment. But next week there will possibly be gaming. So, better make sure my gaming table looks as good as possible. Today in the Terrain Corner we have: New Survival Range Releases From Antenociti's Workshop, Dust Town: Fantasy Gaming Mat Available from Pwork Wargames, Fantasy Flight Games Releases Swamps of Nal Hutta Map for Imperial Assault, and British Street Items Available from Warlord Games. And we're back in the office. Wee! But what is just as usual is making sure your gaming tables look as good as possible. For that, we've got our Terrain Corner. In it, today, we haev (is that one on purpose? 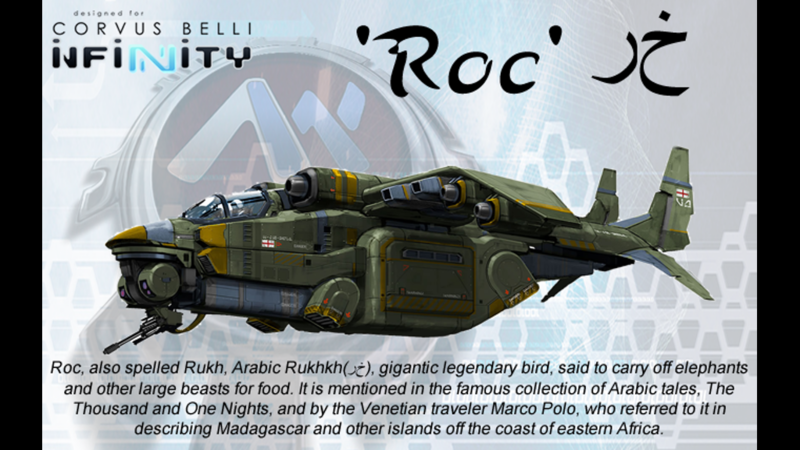 You may never know) : Deep-Cut Studio releases Gotham game mat, The 'Roc' Dropship Up On Kickstarter, The Bumblebee Air Transport Available From Burn In Designs, and Lands of Mars Gaming Mat Available From Pwork Wargame. Football season (well, American football, anyway) is over. But that just means you can move your gridiron action to the gaming table. There's plenty of fantasy sports games you can enjoy. 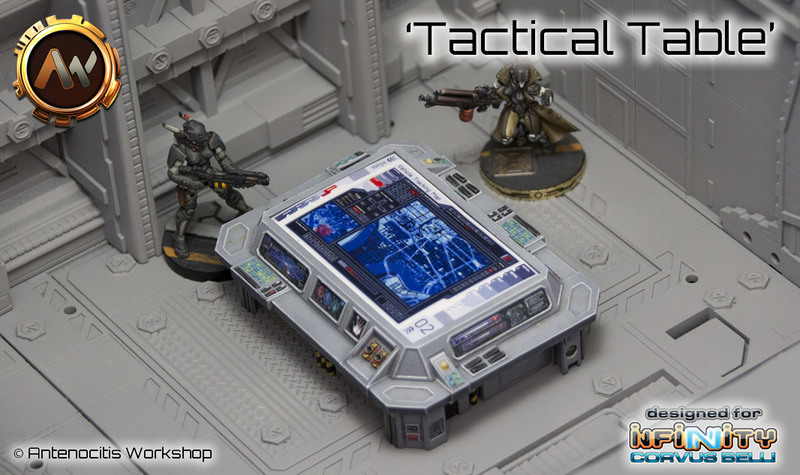 But if you're going to be playing those, or other miniatures games, you'll want a good-looking gaming table. And that's what we're here to help with today. 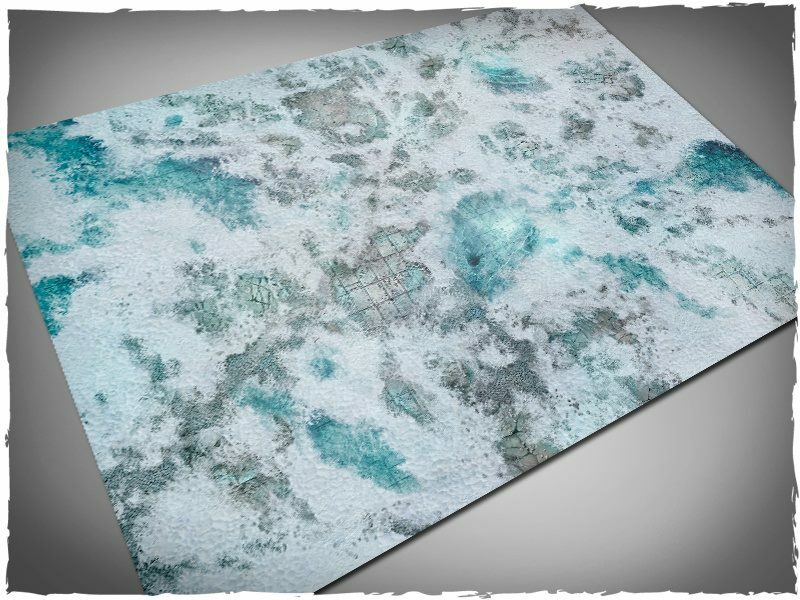 This Terrain Corner we have stories on: Acheson Creations Announces Dungeon Worlds 2 Kickstarter, Deep-Cut Studio releases new Frost-grave gaming mat, Antenociti's Workshop Releases Happy Panda Noodles, and Pwork Wargames fantasy gaming mat: Dust Town Now Available. 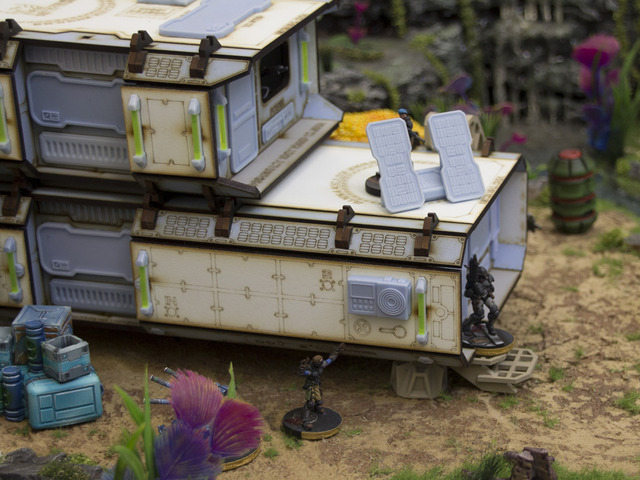 Antenocitis Workshop is coming to the end of their Kickstarter campaign for their sci-fi Forward Base terrain. They've made it quite a long ways and have lots of extras unlocked for you to check out. Well we've passed £70,000.00 and so the upright trees with Alien flora on them are now unlocked and will be included as an add-on later today. A HUGE "Thank you!" to everybody from us all here at the Workshop, you've made this a very special year for us and we're already into production of Habitat parts and resin moulds so that we can return that trust with timely dispatch in 2015! Antenocitis Workshop has launched their Kickstarter campaign for their Forward Base terrain pieces. They're already well over 10x funded with still 11 days to go. Forward Base is more than a random collection of scenery products: We set out with a goal of creating a thematic scenery system that would allow the gamer to produce a gaming table that was visually stunning, looked like a believable sci-fi outpost and where the buildings were pre-painted and the resin pre-coloured, to save you time on getting your table up and running and looking great! 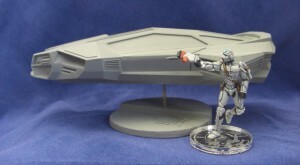 Antenocitis Workshop is showing off their November terrain pieces, designed for Infinity, over on their website. Antenocitis Workshop will be launching their Forward Base Terrain Kickstarter on the 17th at 8pm GMT. Just a quick note to confirm that our “Forward Base” Kickstarter for “Designed for Infinity” products will be launching on the 17th November 2014 at 8pm UK time. More details over the next few days as we upload more videos and information on pledges and postage! Antenociti's Workshop has some preview renders up for a new sci-fi Sushi Bar they're working on. We’re going to add a few more resin elements for the roof and then do the etchings for the MDF panels after which this will be nearly ready for moving into production in 2014. Antenocitis Workshop released their new Komodo Armored Suit. Looks pretty sturdy to me. The model comes with 4 alternate weapons, Gatling Gun, Grenade Launcher, Coil Gun and Flamer, all of which can be inter-changed between arms, and also a 4-finger grapple for the left arm. 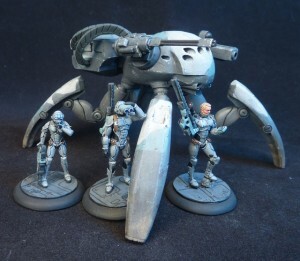 The figure stands approximately 42mm tall and is styled for 28mm sci-fi gaming. Fate Amenable To Change now has their fleet boxes available for sale (and on sale, too). Go check 'em out. Fate Amenable To Change (FATC) Hiigaran Spaceship box sets now available in-store, priced from £45.50 GBP to £116.20 GBP at RRP. However, sales prices run from £28.00 GBP-£75.00 GBP whilst current stock lasts, so get in quickly!!! 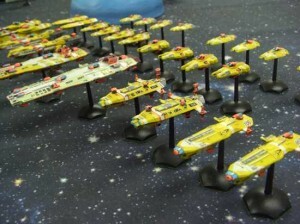 These are excellent models produced to a very high standard, and well worth the money… the largest box-set having 28 ships and 144 turrets, plus including flight-stands for all ships. Sizes range from 122mm down to 35mm for the smallest ships. Antenociti's Workshop will be closed for a short while as they move into new digs. We are now in the process of expanding into the next-door premises. This means the closure of casting for around 2 weeks and, inevitably, low-stocks on a lot of items too boot. We anticpate the casting facility will be up & running around 29th October, however we then ahve a major casting job for a figure company, so a return to production of our own items will probably not start until the first week of November. Please also note that we are short-staffed in the meantime, so replies to any emails, forums and so forth will be slow. Anybody with urgent or time-sensitive orders PLEASE ensure that you speak to Nadine before ordering online. Apologies for anybody inconvenienced by this. Antenociti's Workshop previewed this guy a little while back. Well now he's for sale. Go and pick yourself up one or a dozen or whatever. The Tata-Dodge Matador AirCar (28mm) is now available in-store priced from £12.50p for one down to £10.00 each for 3 or more. Antenocitis Workshop released their new Hawker Evora Aircar over on their website. It's 2012, we were promised these things for real by now when I was a kid. I guess the model will have to do for now. 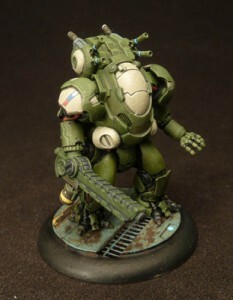 the 28mm Hawker Evora Aircar is now wavailable priced @ $11.50p or 2 (or more) for £10.00 each. has their new Spider Tank (Spider Tank. Does whatever a Spider Tank does) available over on their website. The T-PEA “Mobile Turret” or “Spider Tank” is a pilotless military drone designed for Urban or Rough-Terrain combat. It is a dedicated heavy-weapons platform that can clamber across pretty much any rough terrain and is heavily armoured and armed to allow it to suppress most enemy vehicles and personnel that it is likely to encounter. Its’ standard lead-out includes a tri-barrelled 40mm auto-canon and a heavy Xaser, the former capable of dealing with any light-medium armoured vehicles, non-military buildings and all infantry, the latter capable of ‘burning through’ most armours and buildings. Spider Intelligences are sub-sentient and can be replaced altogether by a pilot in modified versions for lower-tech planets and forces. 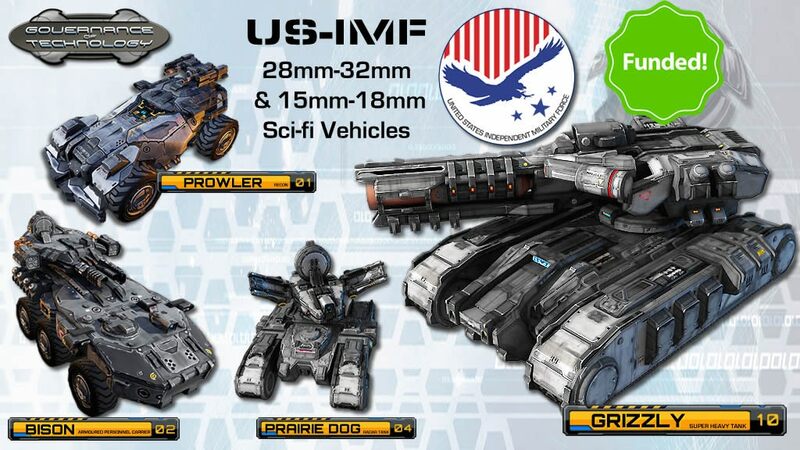 Such modification drastically reduces its armaments load-out, mission longevity and survivability but is nonetheless fairly common in lower-tech environments. Antenociti's Workshop has some 3D renders up of some heavy weapons for their armored suits. Update to the Carapace/Hardsuit images. Apologies to the delay with this figure, this is being developed out-of-house so we have no control over its development & delivery and there have been considerble delays at “the other end”. What remains to be done now is to pose the figure (which will be a more dynamic “braced whilst firing” posture) and then get it sectioned & printed as parts. 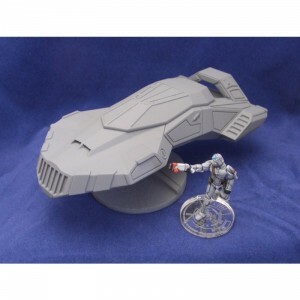 Antenociti's Workshop now has their Warthog available on their website. Vroom! The Warthog ADV (Advanced) is the next-generation development of the highly popular Warthog Armoured Reconnaissance Vehicle. Pressure-cast Resin, white-metal and Etched-brass kit. NOTE: kit requires assembly and moderate modelling skills. Tools may be required. Supplied unpainted and un-assembled. 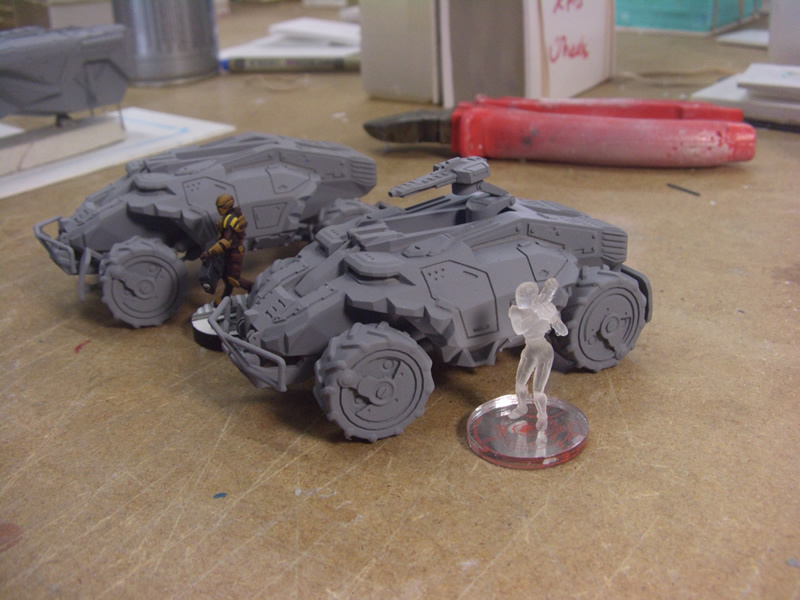 Antenocitis Workshop posts a preview of their next Warthog. WIPS of the 2nd-Generation Warthog. Note the suspension system which allows you to raise the vehicle higher off the ground, these two are in “low” and “Medium” ride-height, you can really “stilt” the vehicle if you want to. This version houses the standard TIP cannon which is controlled form inside the vehicle and can be lowered/raised over terrain, later versions have an alternative hatch with 3-barrel rail-gun (and gunner), and a couple of auto-turret options. These will be Interchangeable with the TIP cannon, so if you don’t glue it in place (use am magnet) you will be able to swap-out the different systems at will. Price TBD, out at SALUTE 2012. Antenociti's Workshop has some important news about backlogs, order dates, etc for the upcoming holiday season. A small set of etch-brass drain covers, manholes and such like ideal for adding to blank bases to make your own customer figure bases. These parts have been sized for use with 25-32mm figures, the figure and base shown are just to give an idea of size. 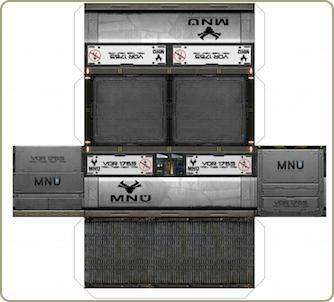 We were recently passed the templates of the Devil Team Infinity Containers so that we could knock-up a few alternatives of them in more of a generic sci-fi vein. As such please find 10 new patterns on .pdf for sci-fi containers…. loosely done as a set of “Evil Corporations”. Weyland Yutani (aliens), UAC (Doom), Cerberus (Mass Effect), Coca Cola, Multi National United (District 9) , RDA (Avatar), Skynet (Terminator) , Soylent (Soylent Green), Umbrella Corp.